The VHS tape seems doomed to the same fate as its former rival, the Betamax, but it still has a few devotees—some of whom appear in the documentary Adjust Your Tracking, screening tonight at Lincoln Hall. Directors Dan Kinem and Levi Peretic will be on hand for a Q&A. 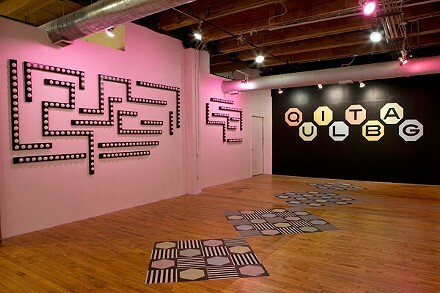 "Binary Lore," Threewalls's last show in its current location, pairs investigations into queer identity by Edie Fake, author of Gaylord Phoenix, with interactive sound and light installations from MSHR, a collaboration between Brenna Murphy and Birch Cooper. Reader contributor Claudine Isé writes that the exhibition is about "expanding options and categories beyond either/or." At Ultra Lounge, local five-piece Lamp, who recently released a self-titled EP on the Gossip Wolf-approved indie label Aerial Ballet, headline a show that also features Distant Cities and Sikiyadigo.